The positive press generated by the destination continues into 2015 with stories in magazines and blogs including Travel Weekly, Just Luxe, ABC News, The Washington Times, Travel Age West, LA Times, Red Shores Travles, Travel Industry Today and many more, generating millions of impressions for the destination. The Public Relations efforts by the Riviera Nayarit Convention and Visitors Bureau (CVB) have succeeded in generating interest on the part of the international press, which has not stopped writing about Mexico’s Pacific Treasure. 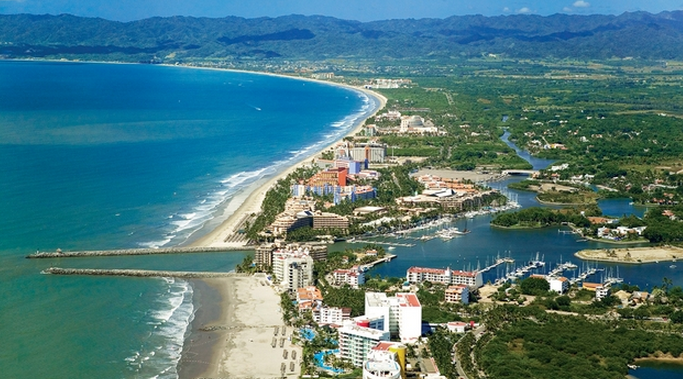 Not two months have gone by since the Riviera Nayarit CVB sent out a release about the numerous articles and posts on the destination that had been published in the United States; now there are nearly another dozen more positive reviews on the destination, which only serve to add to its positioning and the interest generated within this market. Travel Age West focused on the activities revolving around the area’s natural attractions, especially the Islas Marietas. The LA Times followed suit, writing about the birds in San Blas, San Pancho and even Santa María del Oro. Canadian writer Anita Draycott visited the region for two months prior to writing her piece in Travel Industry Today titled “Pacific Bliss on the Bay of Banderas,” which takes a brief tour of the Riviera Nayarit’s capitals. She also published another article in the same book, highlighting the paths to paradise found in the destination. ABC News spoke about the impressive wildlife that calls the destination home. West Jet Magazine spotlighted the cuisine, while Travel Pulse wrote an article about the new hotels, new airlift and new attractions in the Riviera Nayarit, as did Travel Agent Central. And it’s not just the legacy publications that are writing about the destination; there are newer media focusing on it as well, including Red Shoes Travels, a new tourist guide for lovers of luxury that is causing a stir among its high society readers.